Reticulated cylindrical tube beads, pot bead with wing, facetted and cylindrical amethyst beads. 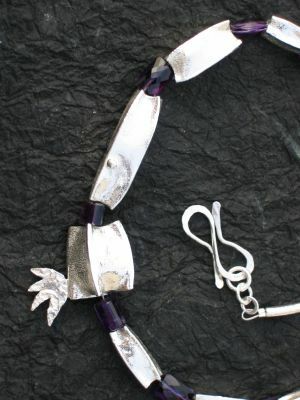 Jewellery designer/maker trained at Central School of Art & Design & Royal College of Art experience. Small batch production and "one-offs".